A very cool and aggressive Blade on this small Sergio Consoli folder. 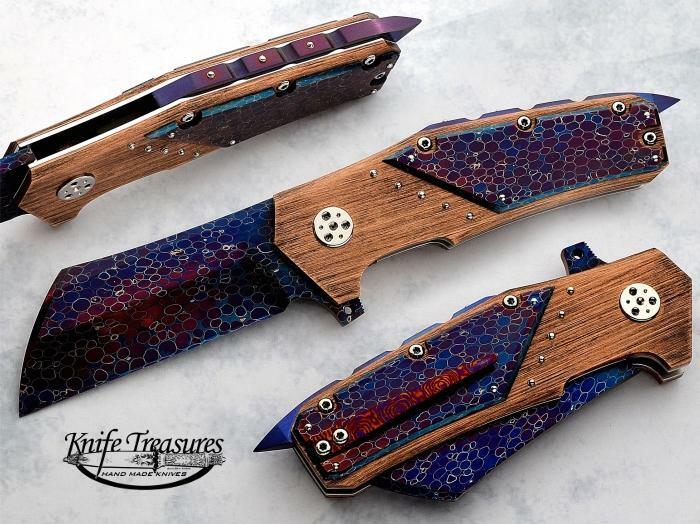 This Beauty has Dragon Skin Damascus by Bertie Rietveld for a blade and nice Bronze scales as handles topped with more Dragon Skin Damascus. A real Beauty!